Hulk #1 CGC 4.0 1st Appearance of the Incredible Hulk! 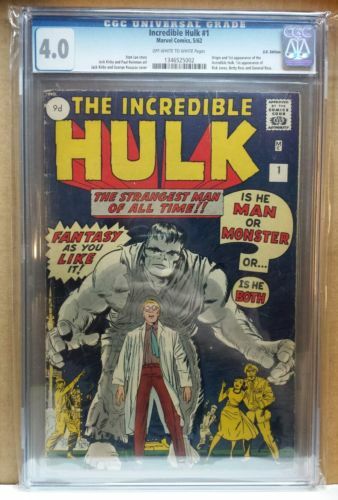 The Incredible Hulk #1 CGC 4.0! Off White to White Pages from May 1962! 1st Appearance of the Incredible Hulk! 1st App of Rick Jones,Betty Ross & Gen Ross!